Lighting is a crucial yet often underrated design component of any room. Ashley Stark-Kenner explores how the lighting in this room works with the other stylistic elements to create a visually cohesive look. 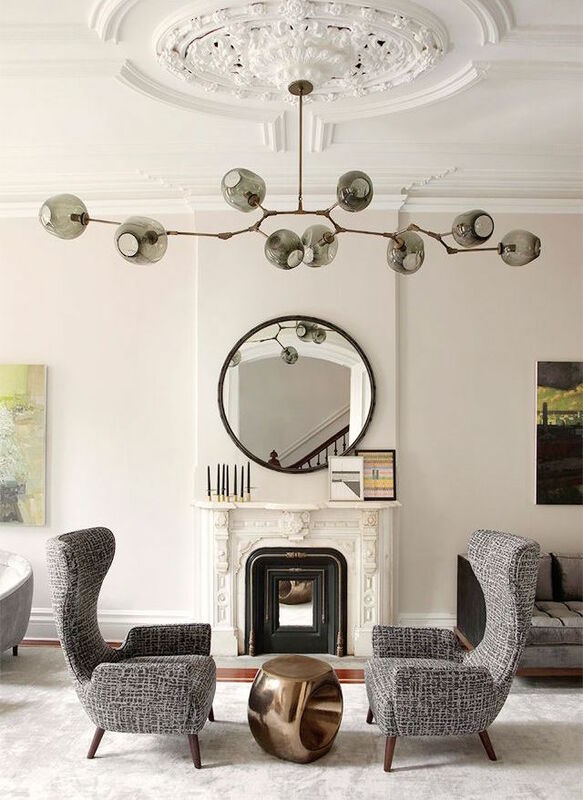 “The light fixture, a Lindsey Adelman design, is one of the main reasons I was drawn to this room. It’s such an interesting way to decorate around the fireplace, and the modern style provides great contrast against the traditional fireplace and molding. The chairs facing toward each other instead of the fireplace or even the center of the room suggests interaction between the two people who might sit there in a fun, creative way without being too cute.